You can achieve anything in the world if you know how to achieve it. It’s usually the “know” which most people don’t know! 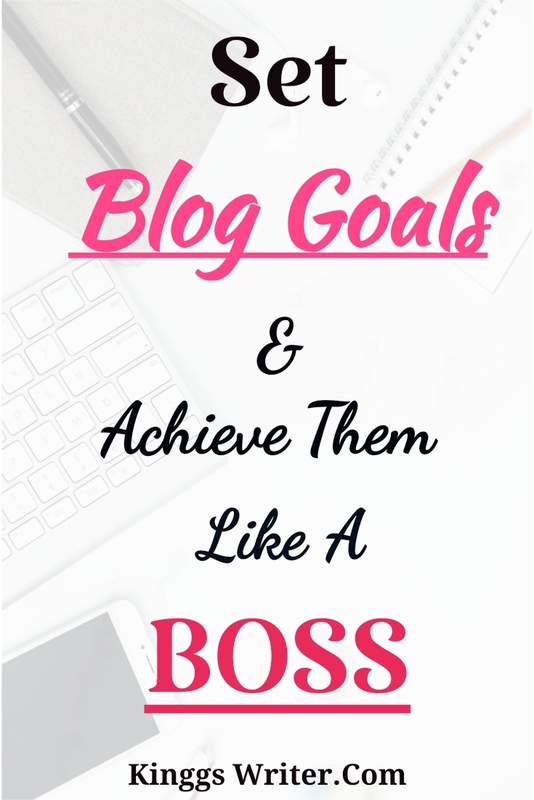 Goals can help in achieving anything in life and even in blogging journey. This is why it’s so essential to have blog goals for beginners if they wish to make it large with their blog. 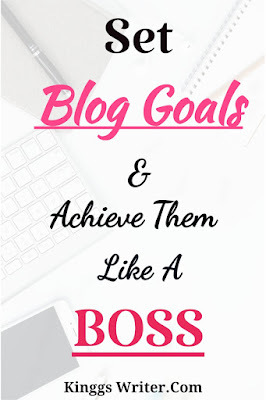 “I want to make my blog huge, and turn it into a full time income. I wish to help people by finding something useful or interesting through my blog and I wish to earn knowledge & money during the process. I want to achieve (so & so) page views in a month or a year. But I don’t know how to do it or where to start from”. And after all this self-talk you are left with nothing just lack of focus and procrastinate things which you must do to achieve (any of) these goals. If you were searching "The Ultimate Guide on Blog Goals for Beginners and how to achieve them", you are at your destination. Do you desire something from your blog? Then it’s crucial to have goals. And by goals, I don’t mean unclear goals such as “I want more traffic” or unrealistic ones “I want 50K views this week”. 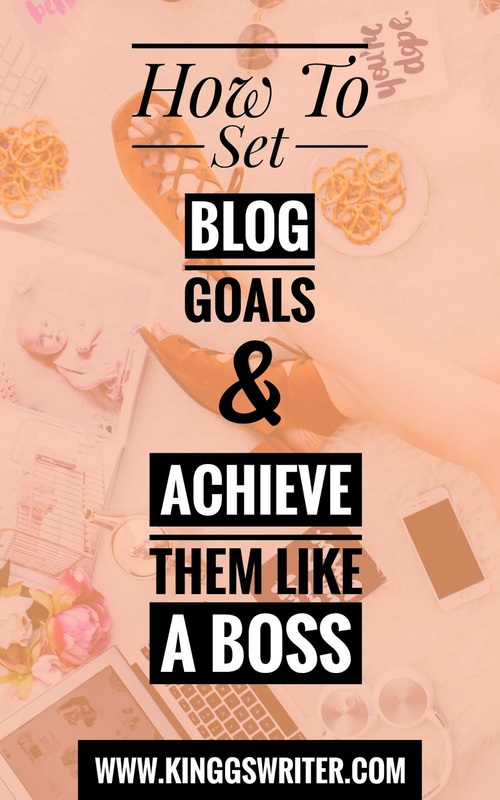 Set goals depending on where you are in this journey of blogging. What I mean here is we need to set simple, specific, and achievable goals. 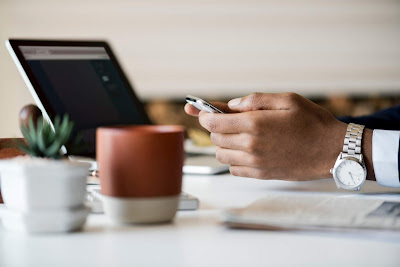 Before we begin, I must say that these steps are not specific for just beginner bloggers, anyone can use them since they act as foundation of what’s desired from the blog. To achieve blog goals as well as other goals (health, career) you can follow these easy 8 steps. 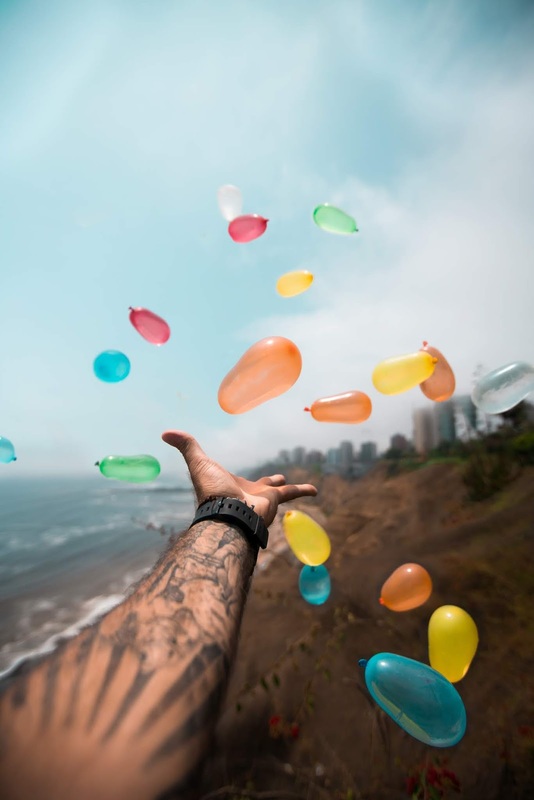 Content Goals- the number of posts you want to publish during the year/month/week. 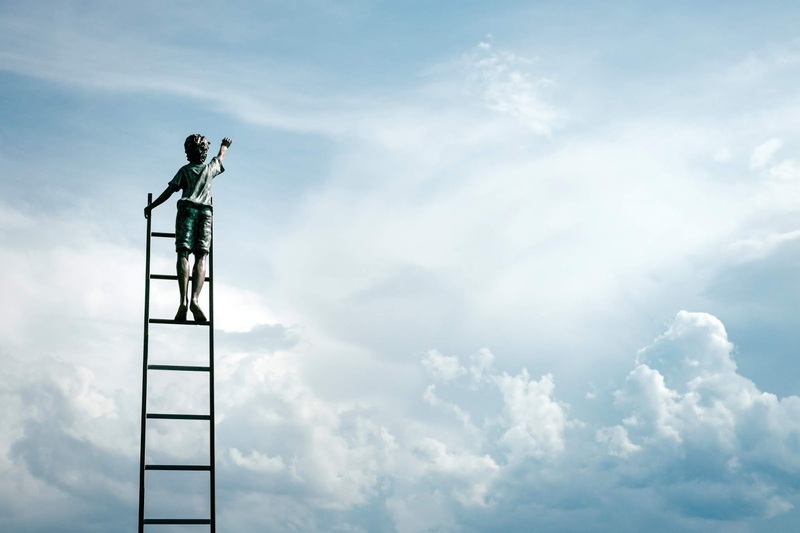 Promotion Goals- which social media platforms you will use to promote blog and strategy you would use. The number of followers/likes you want on each platform. Product (Sales) Goals- product sales can be done in two ways- either sell your own product or become an affiliate for someone else’s product. When starting new, it’s generally better to become an affiliate first and later on launch your own product. Income Goals- Now this goal differs from person to person but it needs to be set. Don’t think about making 1 million dollars in your first year of blogging because that’s unrealistic. 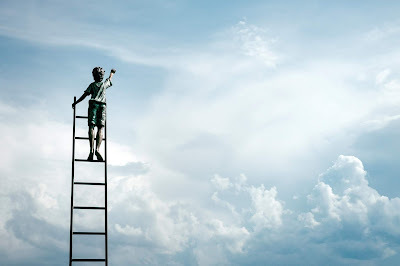 I am not saying it cannot be done, but it’s better to set a realistic, achievable goal rather than getting your heart broken by setting unrealistic goals. Set small goals; say making 50 or 100 dollars for 2 or 3 months consistently. Then gradually increase it to 300 dollars for the next 3 months and so on. 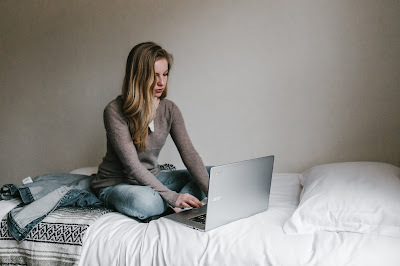 Even if you are a beginner blogger who has just started out sometime back, I would suggest you set goals. 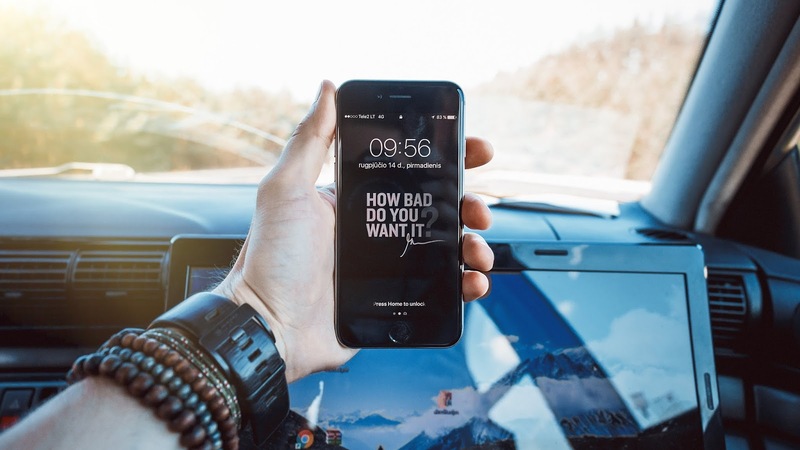 This will not just keep you focused but will also keep you on track if you desire to be a pro blogger. Clearly think why you wish to accomplish these goals. This step is to eliminate goals which are not attainable initially like having 1 million page views in one month. Also, at this stage, you must remove the ones that you thought about while comparing with other successful blogger. Everyone’s journey is different and if your blogging goals are decided based on their success, you will not achieve what you deserve. Now you are aware of what you want, write it down in your diary or journal. 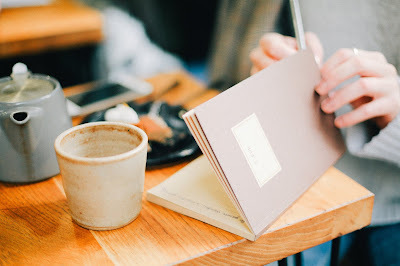 It’s important to maintain a diary as a blogger because there are so many things to write and track down. Small Goals: Goal for months and weeks. Writing goals keeps your mind energetic to accomplish them. Besides this when you write something you read and see it again and again. This creates a strong impact on mind and it starts finding ways to achieve them! That’s like automatic motivation! Pro Tip: Read your Goals after waking up. This boosts you & you stay focused throughout the day. Having big goals is inspiring but if you don’t divide them into small goals it’s hard to know where to start. So, here is a simple technique that I use to achieve more. In the previous step we created small goals, now it’s time to group them. I divide my monthly goals and group them into weekly goals. Here’s what I do- if my goal for the month is to publish 12 Posts in July, I divide this into 3 posts per week. Pinterest: For every post, I will create 4 pins. So my weekly task is to create and pin 12 pins on Pinterest for the 1st week. Of course, I keep repining these again and again. I repeat this for the next week and so on. That’s how, by the end of July, I will have 48 pins to share on Pinterest! In case I am unable to create pins this week, I can compensate for that during the next week because I know the total number of pins I have to pin in this month. These goals are definite and achievable. Instagram: I like to post 2 times in a day on this social platform. I choose to share relevant things apart from my blog posts. But goal is to post at least 14 pictures every week. Income: Now for this goal, be extremely realistic. If you have launched your own product, you can write the expected sales for the month. And later divide them into week just like we did for content goals. This is probably the most essential step in this entire post. Once you have set blog goals take actions to fulfill them. Remove all distractions & focus on what truly needs to be done for your blog. If it’s difficult to do everything all at once, I would suggest using the amazing Pomodoro Technique. The lazy bug bites each one of us from time to time. But try thinking everything that’s achievable if you put laziness out of your life. Simply imagine the things which can be achieved with this little blog you started. 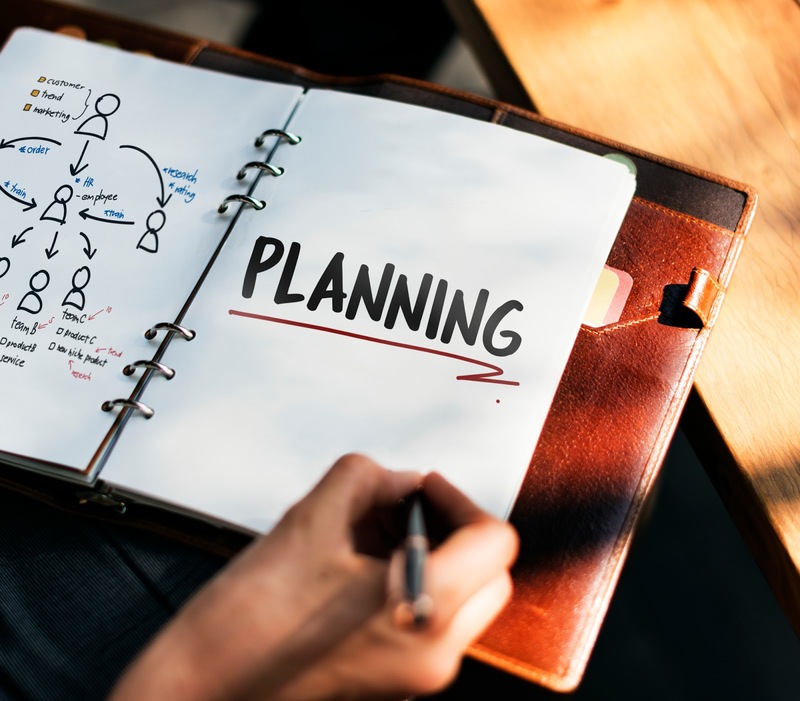 Prioritize what’s essential for you; plan how you accomplish that by breaking it into smaller tasks and taking action. It’s important to know progress so that if you are lacking somewhere you can correct it. Check progress at weekend as this helps in knowing what has to be covered the next week. If you are successful in meeting goals for this week, you will be motivated to do same thing for coming weeks. If you publish only 3 posts in this week but you had set a goal to publish at least 5, then you can cover them up in next two weeks. 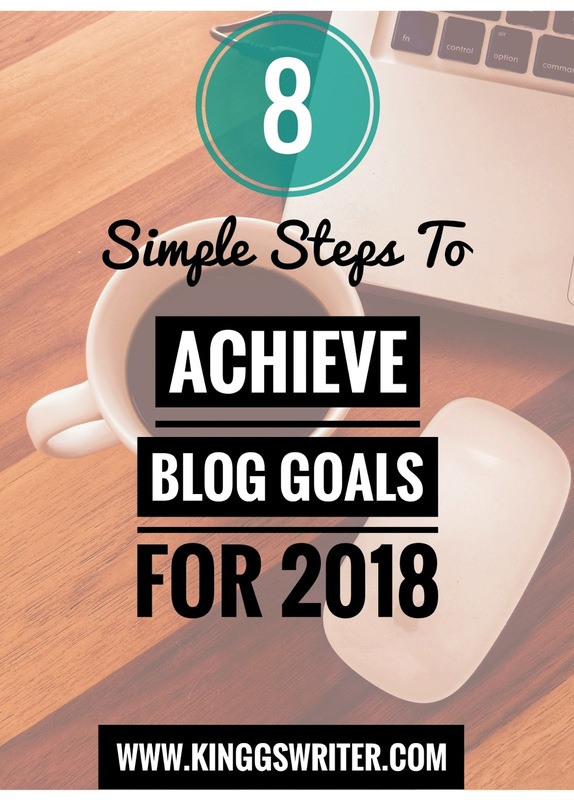 You are happy with your actions, putting efforts, and achieving the blog goals. But suddenly you feel less motivated to do anything useful or you are unable to put the efforts. To avoid such things, it’s essential that you keep in mind why you are doing it and why it matters to you. To stay motivated, see your earlier results. 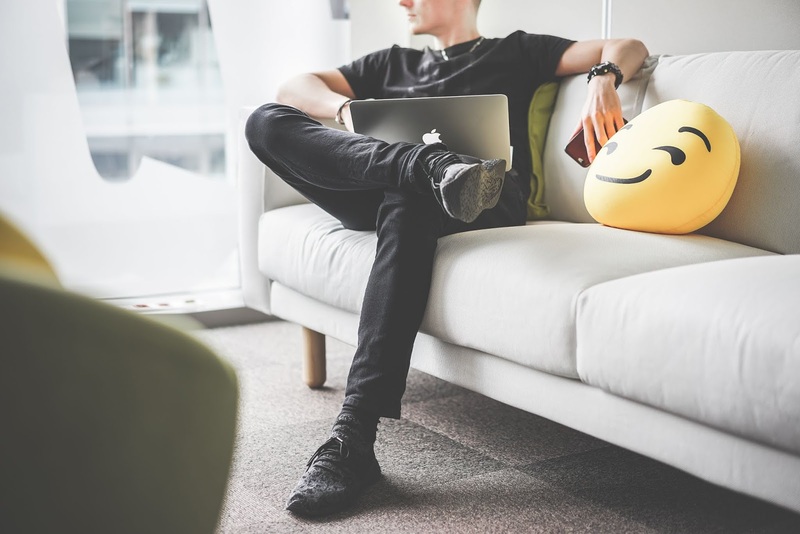 You can read other blogs to find some inspiration or you could watch some powerful YouTube videos that are full of motivation. It’s time to reward yourself, at the end of each month, or after accomplish blog goals. Even if you were not successful at accomplishing each goal it’s important you celebrate in your own way. This has powerful effect on the mind and boosts your self-confidence. Your mind directs you in reaching towards the goals in coming month as well. So, there you go amazing bloggers! 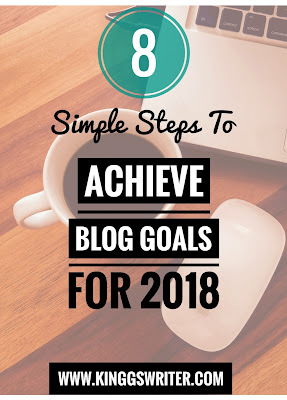 These were the easy steps that helped me in achieving my blog goals for 2018 so far. 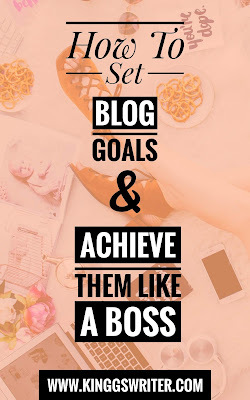 Hope you find these blog goal tips helpful and I am sure if you use this goal-setting method consistently, you’ll see results that make you feel successful & happy. Remember consistency and patience is the key to it. Also, if you find this helpful share it with someone who can benefit from it. 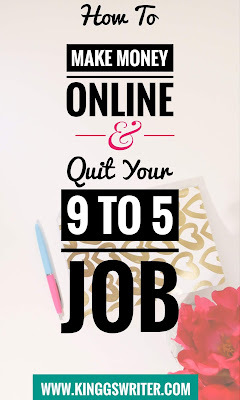 How To Make Money Online & Quit Your 9 to 5 Job? Do you wish to have a side source of income? Wanna know how it’s possible to have online earning? 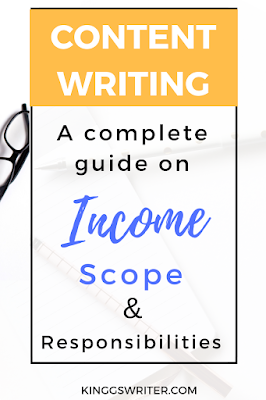 If yes, then this guide can tell you awesome ways of earning and having side income. People find it difficult to find reliable way of earning at home. But if you search in right place, you’ll always get a way. Making money on the side has become easier because we have access to so many things on internet. 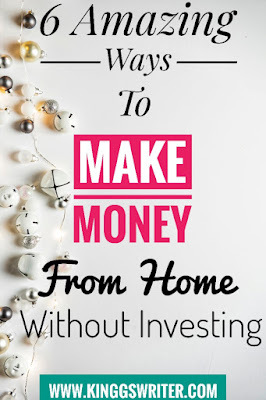 These 6 ways of making extra money are useful for moms, students and anyone who wants to have a side income. Bloggers, freelancers can also use them to diversify their income. Free Icons, Photos, Fonts & More! Content Writing is among most challenging yet rewarding careers in India. If you are deciding make a career in this, read this guide. No matter what, Content Writers (C.W) are demanded because Content remains the King, and I say from experience. 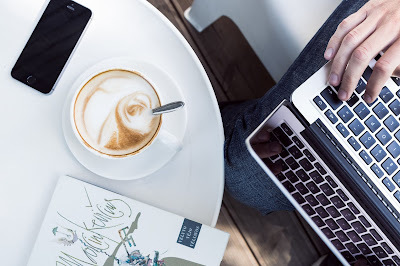 There is competition in content writing, but if you polish the skillfulness no one could stop you from having great career. So how you can develop this skill easily without wasting time? Here's a promising solution: "The Complete Content Writing Course- 3 Courses in 1". In this course, you'll learn about SEO writing, Content Writing, Copywriting, Content Marketing, Blog Post Writing & More. It's a powerful, value packed course with 3 hours of interesting & easy lectures and over 8 checklists & worksheets. As our reader, you can grab this course at 93% discount using our link here. How to make money online and Quit your 9 to 5 Job? Do you wanna know some smart & authentic ways of making money online? Thousands of people across the world depend on various online earning sources to quit the job or double their income. Since we have numerous resources (because of internet era) it has become more easier. But you must find and use the option(s) that fits & suits you for getting results. I will share the top proven sources of online earning that can be started with zero or little investment. It’s easy to agree that a regular job cannot help you get rich. Becoming a millionaire is just out of the way when you rely on your paychecks.